I heard a really good conversation opener during a break at the Nordic Business Forum recently. 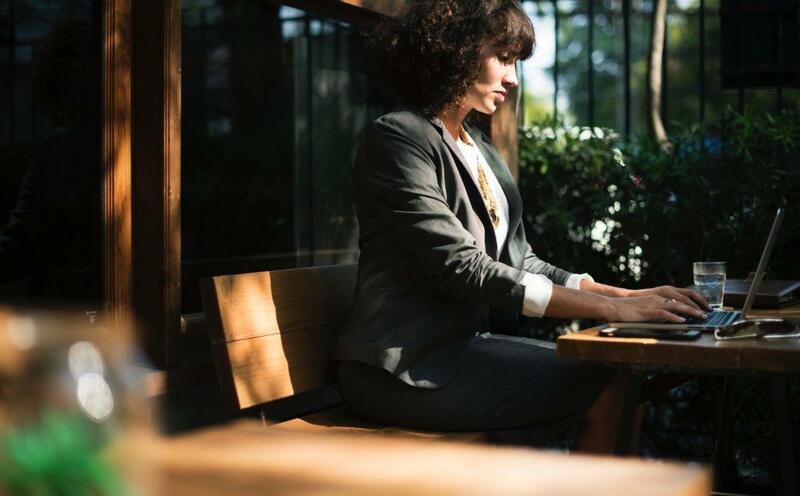 Instead of the standard question about what I do for a living, I was surprised to be asked: “Why do you do what you do for a living?” It was a fresh, thought-provoking way to start up a conversation – and it was very much a sign of our times. NBForum brought together thousands of people looking for business wisdom from literally the best and brightest in business. Guests at the event seemed to eat up everything related to topics like “how to succeed” and “how to be a better leader”. 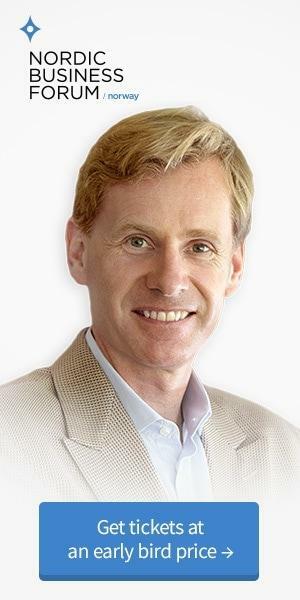 I had a chance to talk to many business leaders I know and almost all of them had the same question on their mind: Is the work we do meaningful? And this same topic of conversation has been coming up more and more frequently in recent months and years. Am I spending my time and my expertise doing things that truly matter – and are the things that are important to me part of my work? Do I spend my energy on things that I can really be proud of? 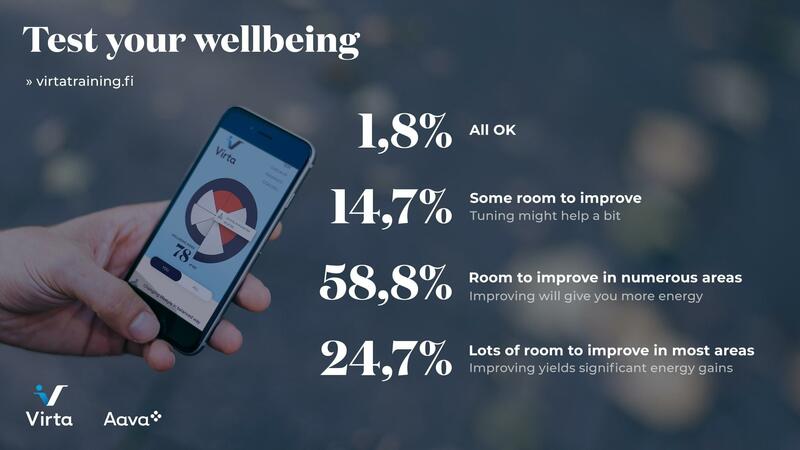 The audience at Nordic Business Forum had the chance to take Aava’s Virta Wellbeing test and answer questions about their own wellbeing. A wide range of Finnish and international business leaders – and people with their sights set on becoming business leaders – took part and the results gave them a lot to think about. Not surprisingly, successful people are generally in good physical and emotional shape. But over 25% of the participants have a lot of work to do when it comes to their wellbeing. And a small percentage said they were very concerned about the level of their own wellbeing. 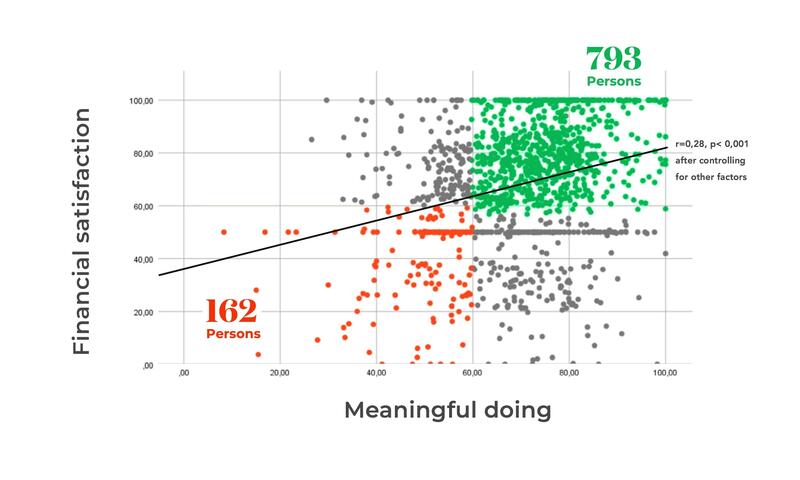 The most interesting finding was the correlation between doing meaningful things and financial satisfaction. People who feel like they do meaningful things in their own lives are the most satisfied with their financial situations. Figure 1. Correlation between perceived amount of meaningful (to self or others) doing and subjective economic satisfaction among Nordic Business Forum attendees. In scatterplot data, the green box represents subjects with relatively good index scores in both dimensions and red box represents subjects in need of improvement in both dimensions. External motivators like pay, title, and other benefits almost always lead to comparisons and competition with other people and the sense that you’re never compensated well enough for the work you do. Internal motivators, on the other hand, like doing something meaningful and being “pulled in” by your work, tend to decrease the need to compare yourself to those around you. Doing a job that’s a calling and loving the work you do are rewarding in themselves. Figure 2. Proportions of subjects in different categories of wellbeing according to Virta Index, which assessed eight different areas of wellbeing among Nordic Business Forum attendees. Virta is a wellbeing service by Aava Medical Ltd.
Take the Virta Wellbeing test here (available in Finnish, only).